Located on the 20th floor of 50 Milk Street in the heart of Boston’s financial district, Lighthouse boasts stunning views and is equipped with top of the line audio/visual equipment. Designed with an open industrial chic aesthetic, this space is ideal for presentations, workshops, or networking. Lighthouse is comprised of two spaces: Lighthouse West and Lighthouse North. These spaces can be combined or divided by a sound-proof glass wall. 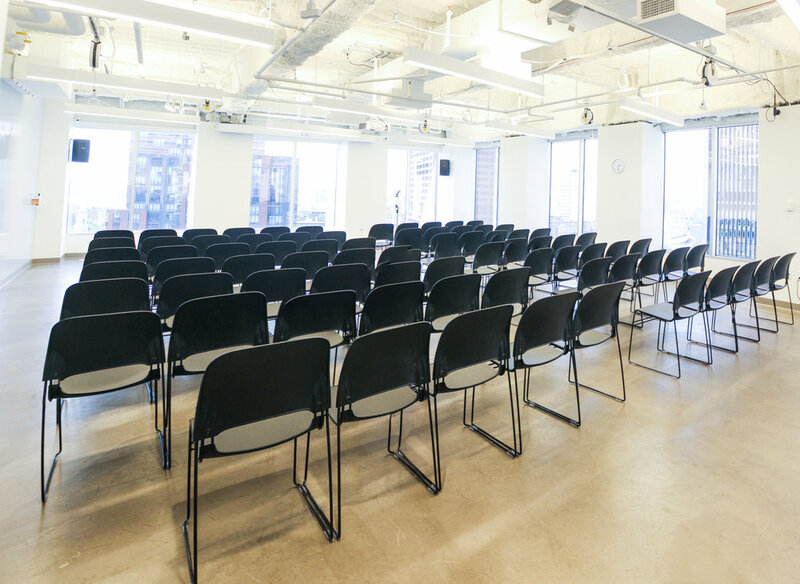 Have an event in mind, or more questions about our spaces and offerings? We're here to help! To speak with a member of our CIC events team, reach out to us at events@cic.com or fill out our event request form below. At the heart of the Financial District in Boston, 50 Milk Street is a 10-minute walk from both the Park Street and Downtown Crossing T stations, and a 1-minute walk from the State Street T station. There are also a number of parking garages near 50 Milk Street, including One Federal St. Garage, 33 Arch Street, Garage at Post Office Square, One Devonshire Place, and more.